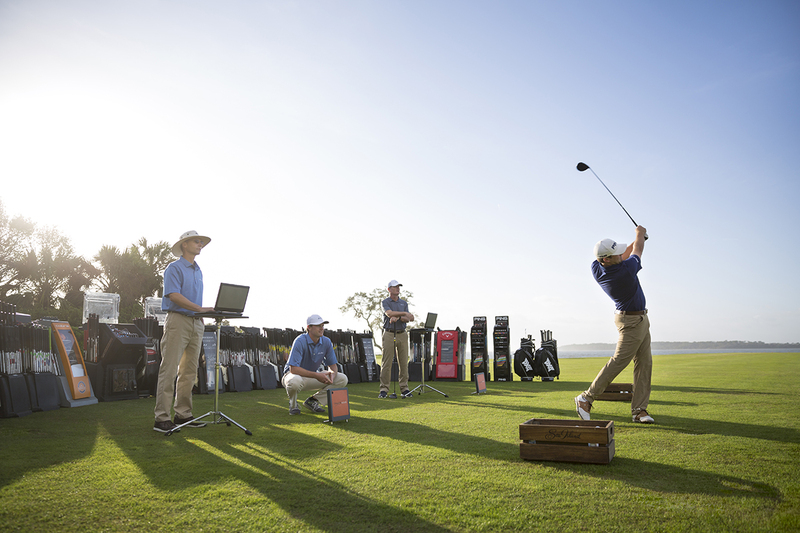 At Sea Island, the latest technology is combined with expert insight during customized club fitting. Whether you want to improve your game, show off your individual style or do a bit of both, personalized golf gear and experiences are the key to making the sport your own. Not so long ago, golfers purchased clubs off the rack based on appearance, feel, brand loyalty or the fact that a favorite TOUR player was winning with them. Golf bags were off the rack, too, with few choices in color and design. After a spate of boldly checkered golf trousers (that nongolfers will never, ever let us forget), golf garb settled into predictable khaki, black or white pants and pastel shirts—with collars, of course. Golfers expressed their individuality sedately, with driver covers in their school colors or resembling cute animals. Fast-forward to golf today, which is certainly not your father’s or mother’s game. It’s uniquely and positively your golf—whatever you choose to make it, from the clothes on your back to the clubs in your bag and all the extras you desire. Women’s tailored Bermuda shorts and demure skorts no longer dominate the greens. Sacrosanct shirt collars are disappearing from PGA TOUR players’ attire. Dazzling colors and designs are the new normal for clothing, golf bags and other gear, reflecting players’ individual styles as never before. The message is: You got game? Show it. Want to play with orange balls? Do it. However, the revolution in golf is more visceral than looking the part, as cool as that is. It’s also about seriously upping your equipment and your game in order to be the best you can be. Airliner-style golf bag from Steurer & Jacoby | Photo: Courtesy of Firebird Group Inc.
Players who watch professional golf on television are naturally prone to caddie envy. Now, there’s an app for that. The Arccos Caddie combines sensors in your grips with artificial intelligence (AI) from Microsoft to provide a virtual caddie on your smartphone. The sensors collect data on every swing you take, and after five rounds have enough history to provide strategic advice in real-time. Your caddie knows your game better than you do, and will predict probable outcomes on a choice of shots—and recommend which club to use. The app has more than 40,000 courses in its GPS, so it works almost any place in the world. However, if you choose not to be glued to your phone for a round, you can browse the data later to see where you were brilliant, or might need more practice. It may sound too good to be true, but the company’s statistics show it can improve a handicap considerably. If you do not like the thought of AI scrutinizing your every move, but want to have some technology on course, GolfBuddy, SkyGolf, Garmin and Bushnell continue to improve their GPS watches and clip-ons. Most offer voice functions that will politely tell you distances to the hole and leave you to make your own club and target choices. While the average golfer is usually satisfied with the target identified by GPS (and happy to hit any part of the green), a scratch golfer or purist often wants to know the exact distance to the hole. Over the years, rangefinders by manufacturers such as Bushnell, Nikon, Sig Sauer and Vortex have improved tremendously, fine-tuning ways to lock onto the flag through a viewfinder and get a good measure of yardage. This year, Bushnell raises its technology a notch with the Bushnell Pro XE, which factors in current conditions that will affect the distance your shot needs to carry. Internal sensors measure temperature, altitude and slope (though slope can be turned off for competitions). The magnification is greatly enhanced and a red ring flashes on the screen when you’ve locked in on the pin. For another business catering to notable people, including the current and former U.S. presidents, the European royals, Jack Nicklaus, Ben Crenshaw and Tom Watson, leather is the main medium. 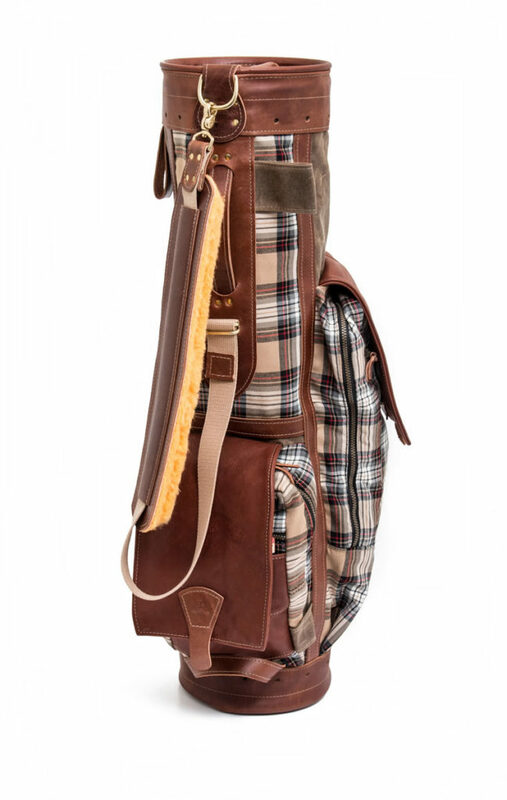 Steurer & Jacoby in Louisville, Kentucky, uses crafting methods you would find in the early 1900s to create custom, handcrafted golf bags, head covers and more. Owner Will Jacoby has nearly 40 years of experience in manufacturing, designing and marketing golf bags and related products, and the seamstress team is lead by his daughter. Of course, you don’t have to go retro to make a statement, especially on courses that don’t allow walking. Most of the major manufacturers are displaying some flash this year, such as the Titleist cart bag in bold red, and Callaway’s Chev multicolor cart bag featuring violet, teal and white. “We’ve ordered personalized bags from Titleist and Callaway,” Mabbett says, “and we get quite a few requests for Club Glove travel bags with names or initials.” Club Glove is a favorite of TOUR pros for its Train Reaction system, which connects the rolling golf bag case to other color-matching luggage pieces for easier transportation. The spiffy collections are guaranteed head-turners. 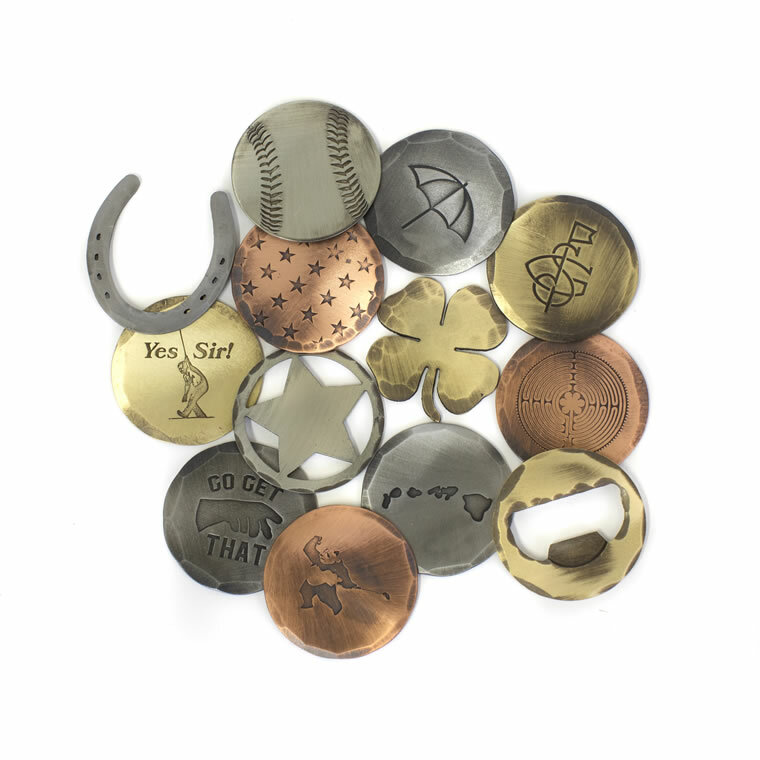 Whether you take advantage of personalized apparel, accessories or technology—or all of the above—the move toward customized golfing experiences offers numerous benefits. From showcasing your individual style on the course to showing off your improved skills thanks to expert club fitting, smart apps and gadgets, there’s a perk for every player. Just as new personalized technology and equipment are benefiting golfers, customized exercises can also have a dramatic impact on performance. 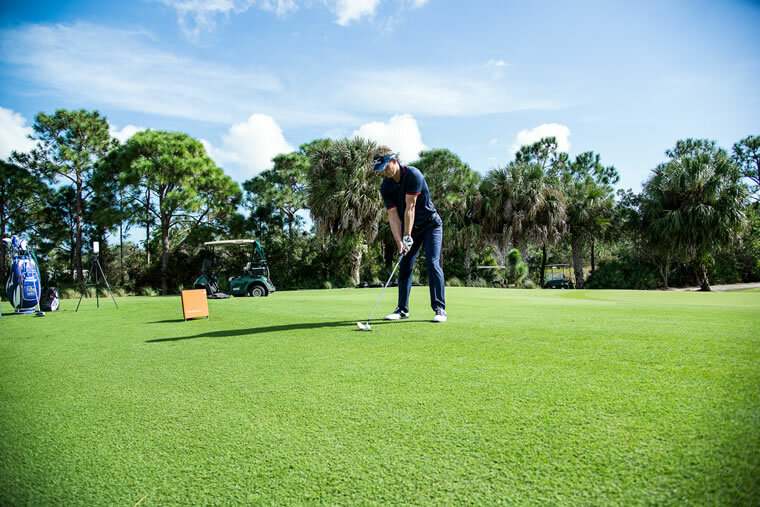 “Golf was once considered a recreational activity for nonathletes, but that changed when we began to have good athletes on the PGA TOUR like Dustin Johnson, Rory McIlroy and Brooks Koepka, all of whom are in good shape and work out,” says Craig Allan, Golf Performance Center manager and master club fitter at Sea Island. “That helped golf become more accepted as a sport, and golfers are now doing golf-specific workouts that are personalized to them. In the Golf Performance Center, guests can be evaluated by fitness experts like Randy Myers. He works with the person’s swing instructor, and from that holistic approach they personalize exercises for the golfer to implement swing changes while addressing any ailments or things the golfer is trying to protect, such as a bad hip, shoulder or back.